Indeed, Mark Turansky does talk trash. 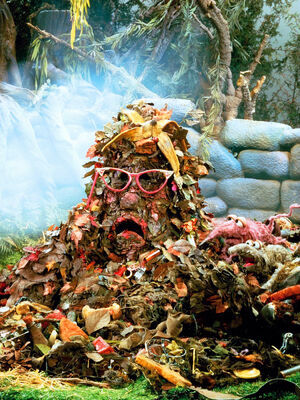 Click The Great Trashy (yes, that’s a Fraggle Rock reference…) for the full story. That’s a picture of what happens if you forget to turn your compost for a couple days or if you get it wet or feed it after midnight. That pile looks nothing like me.